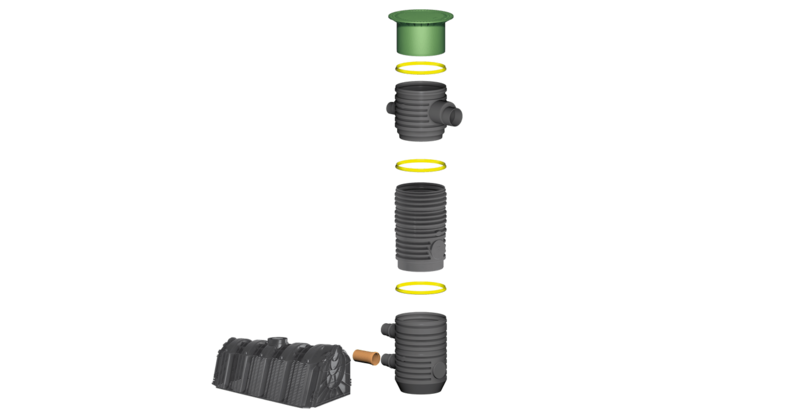 The GRAF Infiltration shaft system is the final addition to the proven GRAF infiltration modules and is perfectly coordinated for use with the EcoBloc and tunnel. 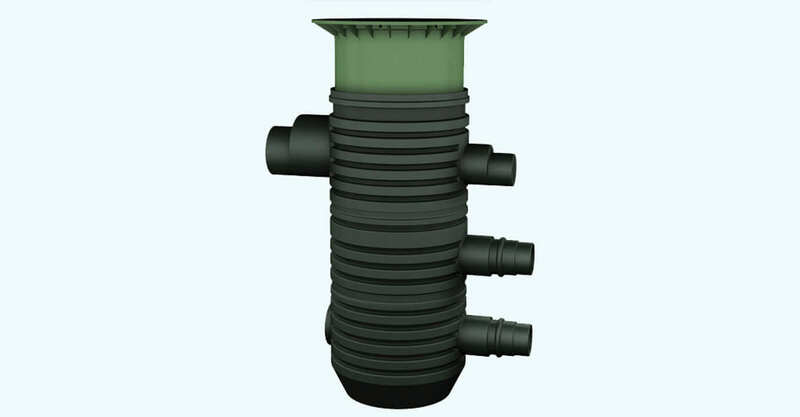 The Infiltration shaft system basically comprises an inlet and distributor module of either DN 400 or DN 600 in diameter. The appropriate cover can be selected depending on the load class required (up to class D). Shaft extensions between the two main modules (also above the inlet module with the DN 600 diameter version) ensure a simple connection even for infiltration systems with high earth coverings. Connection DN 150 (6"); delayed drain of 2 l (0.53 US gal)/sec. up to 16 l (4.22 US gal. )/sec.